CFP: Bridging Gaps: Where is the Critic in Television Journalism? In broadcast journalism, the notion of the ‘TV academic’ is rare but important with the origins related to the Fourth Estate’s veritable position as critical government watchdogs. Similar in nature to questions on conflating the journalist with celebrity in popular discourse are those surrounding the academic and celebrity. In his case, Birmingham City University professor and broadcaster David Wilson discovered, “The greatest tension is the growing perception by some members of the public that I am a celebrity, rather than an academic.” At the same time, he notes that the benefits of being a public scholar greatly outweigh the downsides. Mainstream TV uses social media to augment its reach, facilitating dialogues between actors and viewers. These dominant tactics further engage by mitigating the role of perceived mediators between celebrities and their on-screen personas. In an analogous way, more conversations that include academics are crucial in mainstream TV. Without them, redefining or redesigning efforts that stimulate critical faculties in the collective mind and make for good citizenry become lost amidst the noise of what postmodern French philosopher Jean Baudrillard once characterized as an era of “more and more information, and less and less meaning”. So how can an academic produce a TV show or offer television appearances while disregarding stereotypical trappings associated with the ‘celebrity academic’? How can these efforts be accomplished in ways that preserve the integrity of the academe yet also cater to mass audience within one’s area of scholarship? What are some ethical tactics and key platforms in which these voices are best and most widely heard? The Centre for Media and Celebrity Studies (CMCS) Bridging Gaps conference, in association with sponsors Centre for Ecological, Social, and Informatics Cognitive Research (ESI.CORE) and WaterHill Publishing, invites academics, journalists, publicists, producers and guests to attend, speak and collaborate at the international conference Bridging Gaps: Where is the Critic in Television Journalism? Join us in NYC where the conference will uniquely combine vibrant roundtable and workshop panels with a CMCS TV proposal in a collaborative network. The format of the conference aims at being open and inclusive ranging from interdisciplinary academic scholars to practitioners involved in all areas of television journalism, including tactics related to engagement capitalizing on existing public and private television channels and evolving forms of social media—from YouTube to Vimeo, Zoom to Jing, Periscope to Google Hangout. Working papers and media productions will be considered for the conference. Extended versions of selected best papers will be published in an edited book. Registration includes: Your printed package for the complete conference, professional development workshops, coffee / tea breaks, access to evening receptions, complimentary evening drinks, consideration for publication, and the CMCS $100 best paper and $100 best screen awards. 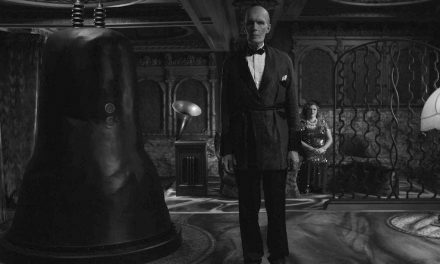 CfP: NANO, special issue “Twin Peaks: Season Three”. Deadline: Jan 31, 2019. CfP: Comics Forum 2018 “Progress: A Decade of Comics Scholarship”. Sept 20-21, 2018 @ Leeds Central Library (UK). Deadline: July 23, 2018.